The head of the powerful U.S. Intelligence Committee is urging Canadian companies not to do business with the Chinese telecommunications giant Huawei as a matter of national security. In a scathing report released Monday in Washington, the congressional committee branded Huawei a threat to U.S. national security, and urged American telecommunications companies using the Chinese firm to "find other vendors." The committee concluded that allowing Huawei to help build American networks could potentially be used by Chinese cyber-spies to steal U.S. state and commercial secrets, or even to disrupt everything from electrical power grids to banking systems in a time of conflict. But in an exclusive interview with CBC News, committee chairman Mike Rogers warns that Canada is equally at risk. The world’s second-largest telecommunications equipment supplier, Huawei is already providing high-speed networks for Bell Canada, Telus, SaskTel and Wind Mobile – deals that Prime Minister Stephen Harper’s government has openly applauded. But the next big deal could be helping to build a new super-secure telecom system for the Canadian government, a multi-billion project in part to replace data systems contaminated beyond repair by a massive Chinese cyber-attack in 2010. Allowing Huawei near any part of that network, says the chairman of the U.S. Intelligence Committee, could be courting disaster. "I absolutely would not do it," Rogers said. "The key word there is new secure network; I would not have the faith and confidence." Rogers says the information about Huawei gathered by his committee "puts at risk consumer data, and puts at risk security interests certainly of the United States, and I would argue of Canada as well." The telecommunications systems in the two countries, he says, "are so integrated I would urge the private sector to find other vendors." The Republican congressman from Michigan says ordinary Canadian consumers have every reason to worry about threats to cyber-security. "This is your personal data. This could be your medical records, your financial records, everything that you hold dear that you think is locked away in a safe place on your computer that goes across these networks and becomes subject to being gathered by the Chinese government." A logo of Huawei Technologies Co. Ltd. is shown in Shenzhen, China, in 2001. Huawei provides high-speed networks for Bell Canada, Telus, SaskTel and Wind Mobile. Rogers says the fear is that electronic bugs will be embedded in telecom systems to secretly transmit data back to China, also known as beaconing or opening back doors. "There are bugs, back doors and beaconing going on in Huawei gear," he claims. "We have had lots of reports of that happening. "I will bet my bottom dollar, as we say in the U.S., that activity is happening in Canada as well." While there is little concrete proof to back Rogers’ claim, a former Canadian spymaster agrees it is certainly possible. Ray Boisvert, who until recently was assistant deputy director of intelligence for Canada’s spy agency, told CBC News: "The threat comes down to…can a company that manufactures hardware embed certain codes that would allow them to back-door a lot of information that goes through the network? "I have seen it hands-on through my own experience. It is true." In the past two years, Canada has been hard-hit by China-based cyber-attacks on government, corporations and even Bay Street law firms. Should Canada ban Huawei from bidding on government projects? Take our survey. The latest attack managed to penetrate the computer systems of a Calgary-based company that makes the digital control systems for almost all of Canada's oil and gas pipelines. Rogers says allowing the Chinese access to American or Canadian telecom networks simply isn’t logical. "China is the leading cyber-espionage country in the world today," he said. "Why we would open up our networks, and give them control of our information doesn’t make a lot of sense to me." Huawei Canada, which employs about 400 people in Markham and Ottawa, did not respond directly to the U.S. committee report. "We recognize, that as a Chinese-based telecommunications company, it is fair and reasonable to expect that we would be under some scrutiny from Government," the company said in a prepared statement. "For this reason, we have worked to conduct ourselves in a manner that positively reflects our contribution to Canada." 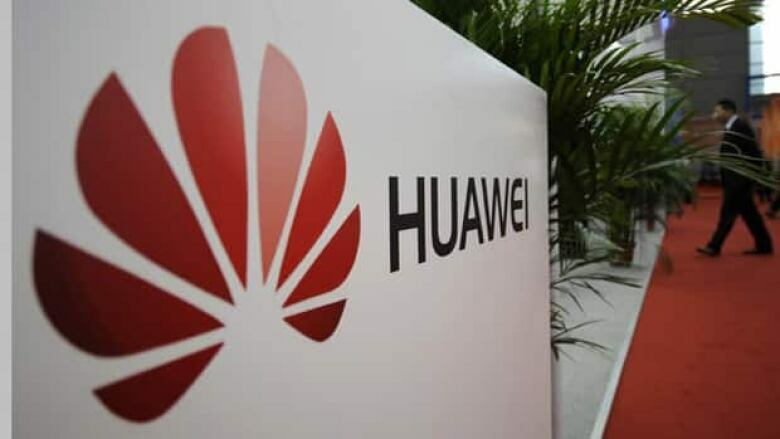 The Canadian government referred all questions about Huawei to the federal department responsible for building the new secure telecommunications network. Shared Services Canada issued a statement saying the government "takes cyber-security seriously and operates on the advice of security experts." The government has given itself the power to exclude Huawei from the entire network project, but won’t say if it has any intention of doing so. In contrast, both the U.S. and Australia have simply banned Huawei from bidding on major telecommunications projects, or attempting to take over American companies. NDP MP Paul Dewar accused Harper of not taking the issue seriously. "There is a real question of competence with this government if other countries – Australia, the U.K. is wrestling with this issue, and of course the U.S. with this report – if they are taking this seriously, why aren’t we?" The last time the prime minister addressed the issue, he told the Commons: "…we do not take dictates on security from the United States." Huawei’s American spokesperson, William Plummer, had harsh words for Rogers’ committee and its report. Plummer denied the committee’s allegations, suggesting the report was more about politics than security. "There are politics and then there are facts. And the facts are this company is globally trusted, and our product is world proven in terms of its security and integrity. "That is the truth today. Those are the facts today…political distractions aside – dangerous political distractions." Hong Lei, a spokesperson for China’s foreign ministry, hinted that the stinging U.S. committee report on Huawei could damage trade relations between the two countries. "We hope the U.S. Congress will set aside prejudices, respect facts, and do more things that are beneficial to Sino-American economic and trade ties, but not the opposite." The issue of Huawei and the threat of cyber-spying in the U.S. and Canada is likely far from over. Rogers said that during the past year of investigations, his committee was also presented with allegations of corruption and bribery – allegations his office plans to turn over to the FBI today. Should Canada ban Huawei from bidding on government projects?